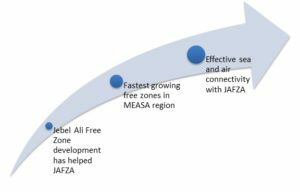 JAFZA is commonly known as Jebel Ali Free Zone Authority started its operations in 1985 and is considered as a leading business hub and operations in Middle East region.JAFZA has emerged as one of the main drivers of Dubai and the UAE’s phenomenal economic growth over the years. 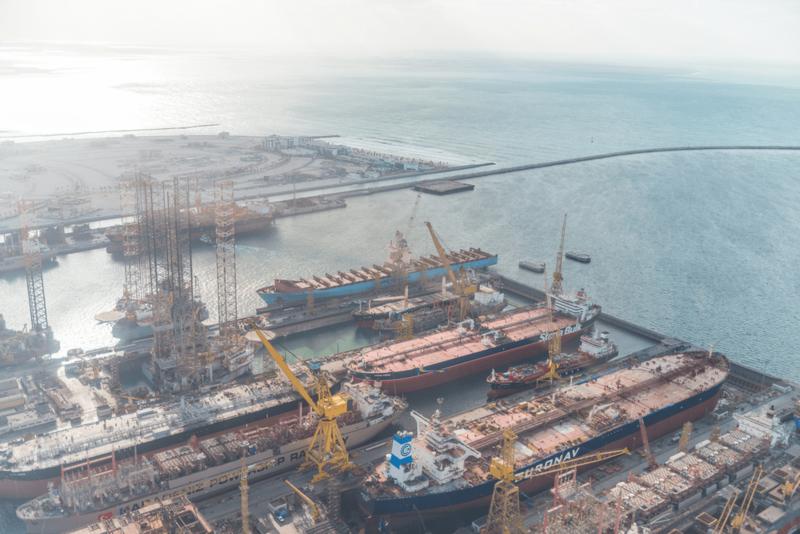 The Jebel Ali Free Zone has Jebel Ali port, world’s 7th largest container port on one side and the Al Maktoum, largest cargo airports on the other.JAFZA free zone has a 6 lane highway that will help smooth movement or transportation of goods from port to cargo aircraft. This free zone not only provides superb connectivity options but also is a great growth prospect for various businesses. Being an outsider who wants to be associated with JAFZA free zone, there is no minimum capital investment that is required for flourishing your business. As a JAFZA member, you can easily access resources required to grow your business for the betterment of the company you are associated with. You can enjoy a high quality lifestyle with superb infrastructure, support and communication related services. JAFZA provides its customers with e-services platform for conducting the majority of their business transactions. Each customer is registered to these services and can access these services using appropriate authentication (username and password as credentials). The global investors are provided world class Infrastructure Services to handle their diverse requirements. The value added services and incentives ensure that the businesses can capitalize on huge business opportunities in the region in most effective manner. This license works when you want to perform trading related activities. This license works when you want to explore or set up industry in the free zone area and utilize the industry related services going forward. This license works when you need to carry out services activities. This license allows you to carry out buying and selling of goods and services over electronic network via any electronic means. This license is applicable to carry out manufacturing activities where at least 51% of the ownership is of national of an AGCC country. This license allows you to carry out development of new services and products. The cost of setting up an FZCO company includes onetime registration fee of AED 15, 000, memorandum of association with articles of association as AED 200, specimen signature attestation as AED 50 per person and attestation for board resolution as AED 200. The cost of setting up an FZE, PLC or a new branch differs and it all depends on the requirements.